In a somewhat breathless press release published June 1, 2014, International Data Corp, Canada (IDC) states that a “hockey stick” of growth is expected for wearable technology as the market “explodes” in coming years. The IDC is a market intelligence network that researched the wearables market and wrote projections for the period 2014 to 2018. Adrian Chan is a professor at Carleton University, he is also the Director of the Ottawa-Carleton Initiative for Biomedical Engineering. Watch below as he describes the current reality of wearable technology. The following are profiles of wearable technologies, their place in the market, or in development, and their creators. In addition to profiling technologies, this section looks at some of the struggles faced by their developers. All but one of the technologies profiled have been created and produced in Canada. There is one example of an American technology that is sold in Canada. Wearable technology is not only available for seniors, it is also available for healthcare practitioners such as nurses and doctors. The following will highlight one technology that is used by healthcare professionals. Pierre- Alexandre Fournier is the CEO of Hexoskin, a company which designs biometric shirts that measure a person’s heart rate, breathing rate, sleep, and activity. Right now, all of his users fit in the same clothes, sold in sizes small, medium and large. 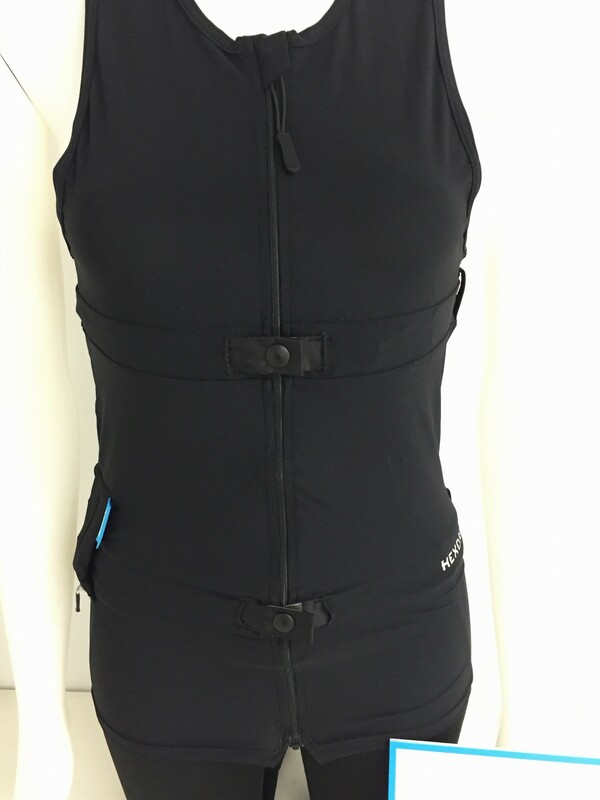 To ensure that his product can be used by seniors, Fournier has designed vests which are easy to put on and adapt to body shape changes. “You don’t have the same posture, you don’t have the same upper body dimension when you’re 80 and when you’re 25,” explains Fournier, “As you get older, you may have joint problems, arthritis which makes it harder to get dressed. 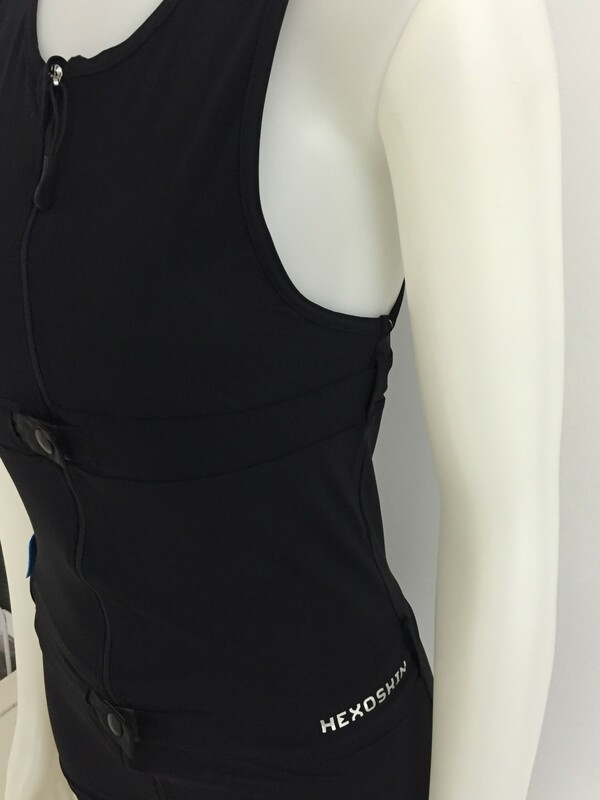 So we’ve designed a vest that’s really easy to put on even if you have arthritis and you cannot lift your arm above your shoulder.” Fournier ran focus groups with seniors to design the product and to test what would be the best design. Hexoskin was founded in 2006. “We always had a mission to do something for health prevention and management,” explains Fournier. “Population aging was one of the main ideas or challenges that we wanted to face long term with our products.” At first, Fournier and his partners started developing health sensor technologies. They worked for four years on many different technologies and applications for their sensors. Fournier had no success for four years. He was haunted by two, very big questions. “How do we measure health in people’s normal lives without interfering with it? How can we do the job of writing your health journal everyday, without you having anything to do?” In 2010 Fournier decided that the best way to put sensors on people was to hide them in objects they already know well. “Because we had all this technology for bioscience monitoring it made sense to design a smart shirt at the time.” This is the shirt that they are selling today on the market. Regular, for purchase Hexoskin shirts. Photographs from Hexoskin website. Tractivity is a monitoring system with healthcare applications. 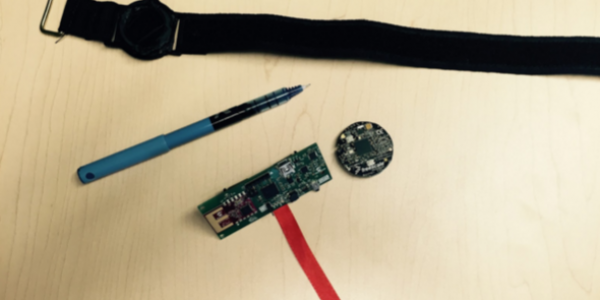 The device is used for two reasons: chronic disease management and inpatient ambulation. Ambulation is the medical term that describes how much a patient is moving around when they are in the hospital. The Tractivity device consists of a small sensor that is worn by the patient which transmits data to a computer system. Most of the intellectual property and complexity of the device comes from the server based software that manages the data coming from the sensors. It is the computer-based software that is most meaningful for the healthcare practitioner and the patient. Tractivity Devices and Software. Photo from the Tractivity website. The simple summary, explains Paul Shore, Vice President of Health Care of Tractivity, is that it is well accepted that walking is a life vital sign. “The more people move both in hospital, or if they are trying to manage a chronic disease, the better they do,” says Shore. 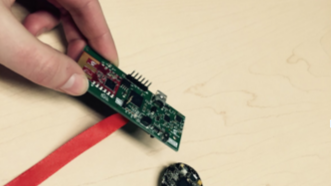 The device keeps track of how often and how far patients are walking. Tractivity is currently employed in hospitals under the direction of a physician. “Their length of stay is typically shorter if a patient ambulates while they are in hospital,” explains Shore, “At the end of the day what we’re trying to do is reduce cost for the health care system, for healthcare providers, both in Canada and the United States.” Even though it is a Canadian company, Tractivity does most of its work with hospital systems in the United States. To date it has only one deployment in a Canadian hospital, in Toronto. South of the border, the U.S. partnerships reach anywhere from a couple hundred to a few thousand patients. “As a Canadian company, it’s actually a bit of a frustration that we spend most of our time with U.S. customers,” Shore says. “There seems to be a simple reason for that.” There is nothing homogenous about health care in the United States, it’s very fractured and differs from state to state. There are many very large private health care systems such as the Cleveland Clinic and the Mayo Clinic. “They have an eye for a) the financial bottom line and b) quality of care because, on the first point, they’re private companies trying to get money, and on the second point, patients have a choice to move between healthcare providers,” says Shore. Shore describes the U.S. health care system as much more competitive than the Canadian one. He also says that the U.S. is more innovative, whereas in Canada, it takes increased effort to work with Canadian hospitals. “They’re looking for innovation and improved care and reduced cost…We don’t seem to have the same motivations in Canada,” explains Shore. When it comes to physicians, Shore says that general physicians aren’t generally that supportive of his technology. “They feel overwhelmed,” states Shore. “I can understand this, patients are showing up in their offices with more and more gadgets and asking them to use what the gadgets are showing as part of their decision criteria. This is very problematic for doctors.” However, Shore says that physicians are more supportive when a system can be deployed from within because it is embedded and they have control. “That is a big reason why we try to go from the inside out in health care systems, rather than selling to an individual,” says Shore. Dan Levitt, of Tabor Village Retirement Homes, explains the need for technology to track residents who wander. “Gordon is one of our residents who likes to wander,” Levitt says. Right now, Gordon wears a bracelet that he knows how to take off. 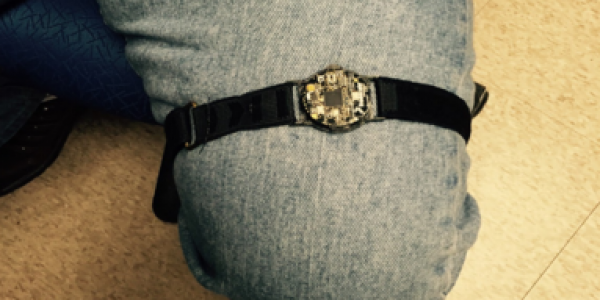 It looks like a watch but it has a microchip inside. Once Gordon gets to the retirement home doors, an alarm goes off and the staff of Tabor Village Retirement Home are notified. Once that alarm goes off, the doors close and Gordon is trapped in the vestibule until someone comes to release him. “He gets agitated,” explains Levitt. “We have a complicated system to keep track of residents who are going to wander. It’s really an old way of doing it,” says Levitt. Levitt is also an adjunct professor of Long Term Care Administration in the Gerontology Diploma Program at Simon Fraser University. 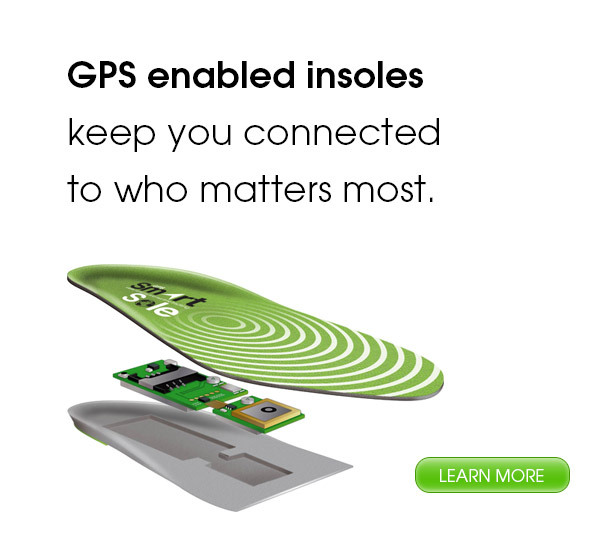 Smart Sole is a company, based in the United States, that sells GPS insoles to Canadians. 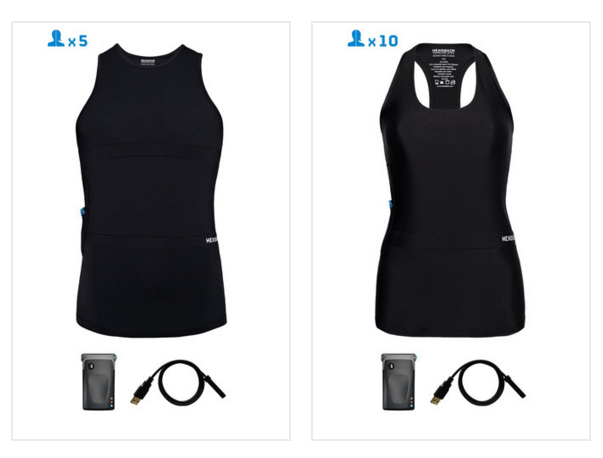 The integrated wearable technology sends data to a smartphone, tablet or web browser. Customized alerts can be sent by text or email if the user wanders to an unknown part of the pre-determined map. GSP Smart Sole photograph of technology, from their website. Not only must a user purchase the GPS insole and the device’s charger, but the user must also purchase a “monitoring plan”, much like a cell phone plan. According to their website, a plan ranges from $29USD to $49USD a month to update maps and send alerts. Handy Metrics is an electronic device that was developed at the Toronto Rehab Centre. Its objective is to provide “accurate and consistent hand hygiene measurements” in healthcare settings. HandyMetrics provides nurses and doctors with a wearable bag that is clipped onto their uniform. Every time a healthcare professional sanitizes their hands, their sensor is notified by a device connected to the hand sanitizer. Each time the healthcare professional enters a patient’s room, the patient is aware that the healthcare professional has sanitized their hands because a green light will (or alternatively a red light) will flash above their room. This light is activated by the sensor badge being worn by the healthcare professional. The purpose? To prevent the spreading of in-hospital diseases. Where is it now? 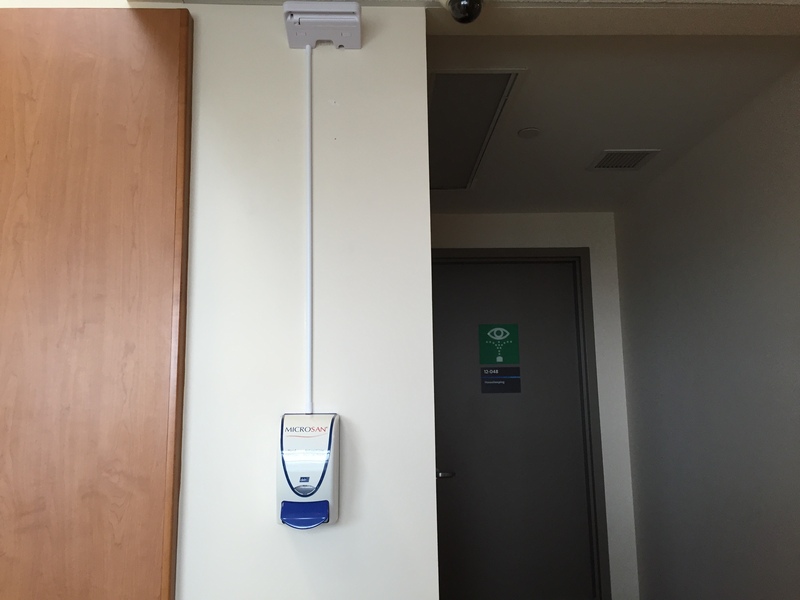 More than 100 hospitals in Canada currently use HandyMetrics. The sensor that is attached to the hand sanitizer dispenser. 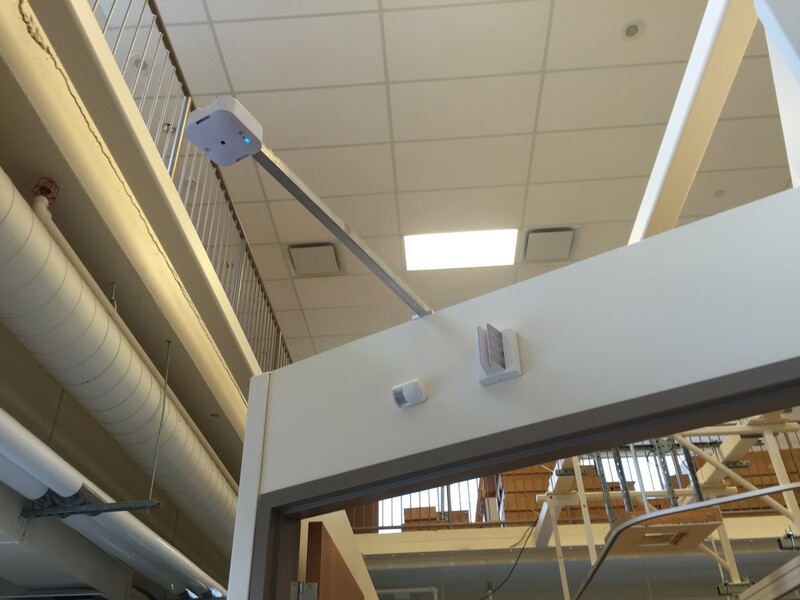 The sensor that is stationed above the entrance to a patient’s room. BresoTech is a sleep management company. 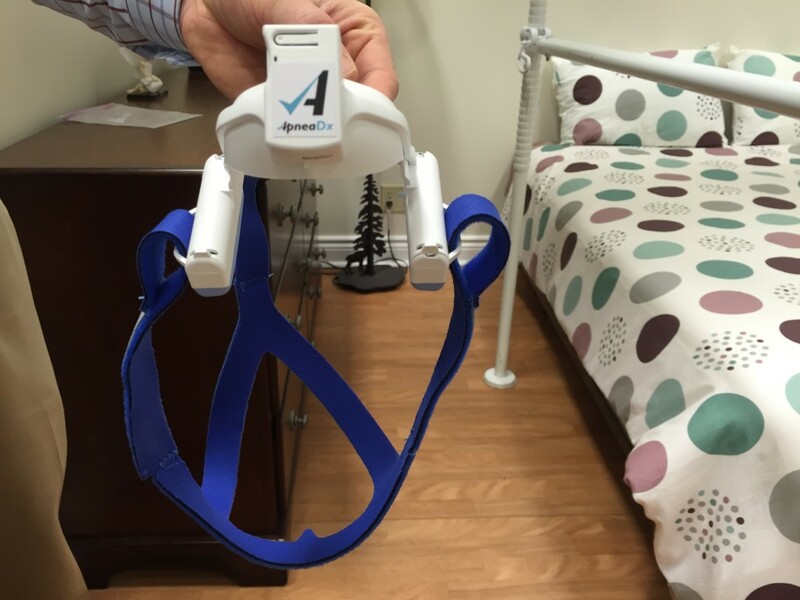 Their product, the ApneaDX, is a “home-based, simple, and highly accurate home sleep test.” The device is ready to wear and lightweight. One piece fits around the patient’s mouth and nose and is secured by blue straps. The white part of the device fits around the nose. The blue straps secure the device onto the head. 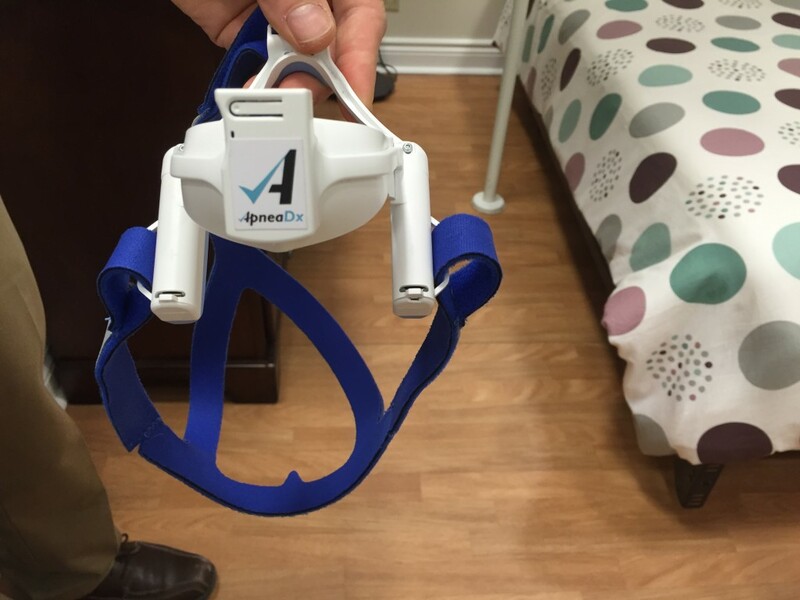 ApneaDX monitors obstructive sleep apnea and related breathing disorders. According to the Public Health Agency of Canada, sleep apnea is a serious disorder that causes breathing to stop while you sleep. This can happen for 10 to 30 seconds and can occur numerous times throughout the night. There are many signs and symptoms of sleep apnea, this device will embed data captured while sleeping. The point? It leads to proper diagnosis and treatment for patients with sleep apnea. Where is it now? It is owned by the Toronto Rehab-University Health Network and MaRS Innovation Centre. It’s currently being tested in homes. Anthony Whitehead is developing wearable sensors. Whitehead is an associate professor at Carleton University and the Director of the School of Information and Technology. The sensors capture motion and verify movements. Whitehead envisions his sensors being used by physiotherapists. The sensors can remotely capture actions and send data to a computer software program to be examined by a physiotherapist. An individual in rehabilitation can work remotely while their progress is monitored by their physiotherapist from another location. Whitehead’s sensors target all of the major joints. Up to ten sensors can be worn on the body at a time. Even a person’s gait can be measured when wearing more than one sensor. It is more difficult to monitor finer motion details, says Whitehead. 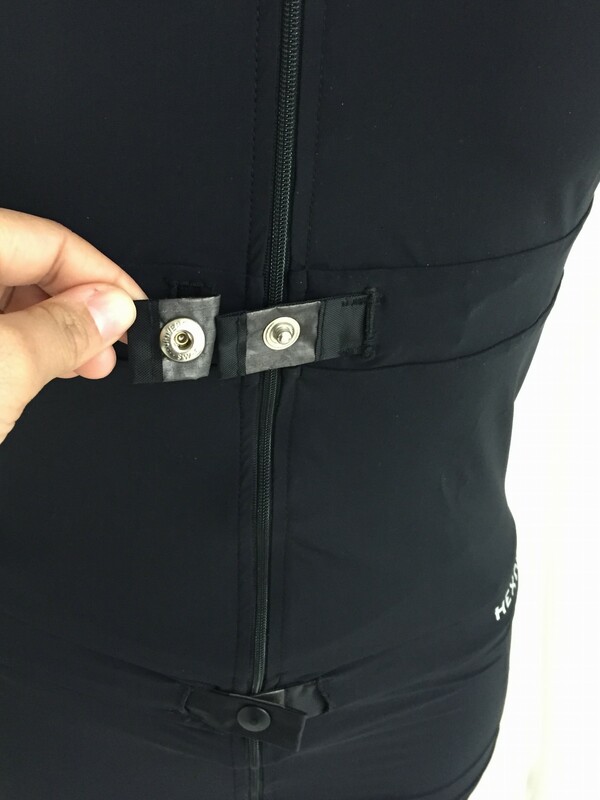 At this stage the sensors, although small, do not have the capacity to capture small bone movement. PREVIOUS: The relationship between wearables and health. Next: What are the benefits and the shortcomings of these technologies?